Strangely enough, Cheap Trick's big breakthrough, 1979's „At Budokan“, was almost never released stateside. The band had become superstars in Japan on the strength of their first three studio albums, and when they toured the country in '78, several of their shows were taped for a Japan-only live release. When the resulting album began racking up impressive sales in the U.S. as an expensive import, Epic wisely released it domestically, where it peaked at #4 on the Billboard charts and spawned the top ten hit single "I Want You To Want Me." One of the reasons for the album's success is that it resembles the raw, direct approach of their self-titled debut, rather than their other two more produced releases. Add the energy of a concert setting, and you have one of the greatest live rock albums ever. 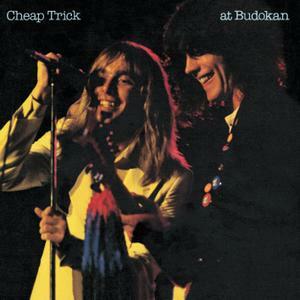 If you were to own only a single Cheap Trick release, „At Budokan“ would be the one.